Þægilegur – Andar – Teygjanlegur – Mjúkur – Flott hönnun – Frábær hanski. ATH. frekar stórar stærðir. The Sunday Series has a unique design carrying our brand throughout the glove. Made from the best cabretta leather we could find. The Sunday features lycra on the top of the hand as well as between the fingers to provide better venting and flexibility. This Glove is extremely comfortable! 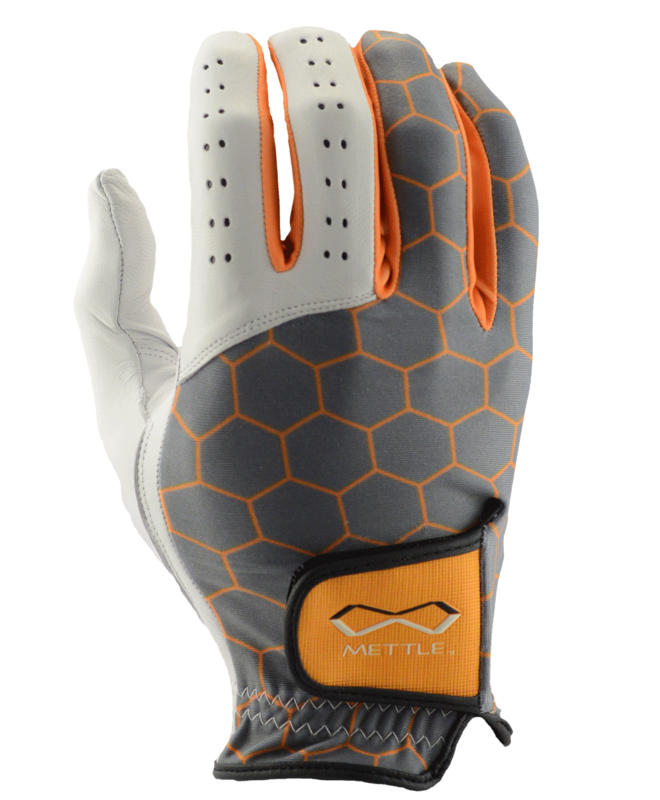 You’ll be sure to draw attention wearing this glove! Don’t forget when your done playing, it also provides a great grip on any beverage!! Your glove should be a snug fit. When putting this glove on, first gently pull the glove over your fingers, carefully working the leather around the fingers. The extra Lycra on the glove will help make this easier. Once each finger is worked in, now you can work the thumb in. Push the leather down carefully until the finger tips and thumb are all the way in. Do not use the cuff of the glove to pull down, or work the glove on. Once the glove is on, it should feel like another layer of skin. Now it’s time to test your Mettle!